$50,000 Donation Challenge Results so Far! The 2015 Coupon Challenge is going well, I am not sure if I will be able to hit $50k, but I know I will at least hit $30,000 which is my whole years salary which is pretty impressive. If I do hit 50k, I will have donated over $100,000 to my community in five years! My total amount in donations so far is $20,000…A lot of my friends have stepped up to the plate to help me, so it has taught me if you share your mission with others, most of them will be more than willing to help! Thanks so much for everyone that has helped! I am hoping to have a book ready by January 2016 about this incredible journey, and teach others not only to coupon, but to save money in general, which leads to having extra money to pay it forward in your community, Together we can truly make a difference! I have not received any financial donations which is my main obstacle. This year, I am on my third car, I had to break down and get a new one with a car payment! I love it, I wish I had of done that in the first place! Please consider donating to help reach this goal, all donations will be used to help others! To see all the donations and show your support, please like my $50k donation facebook page! 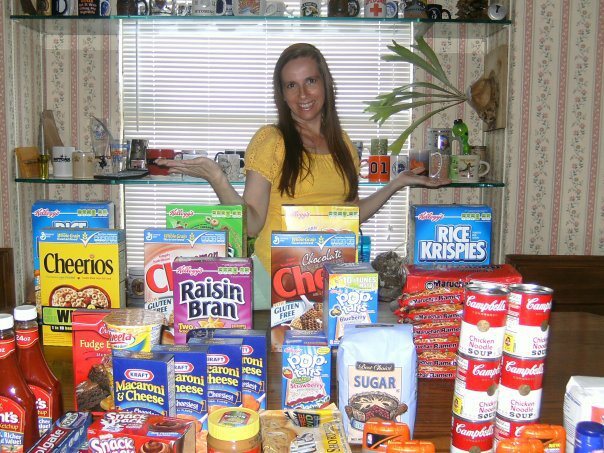 Super Coupon Woman’s 50k Donations Challenge!